Welcome Home! 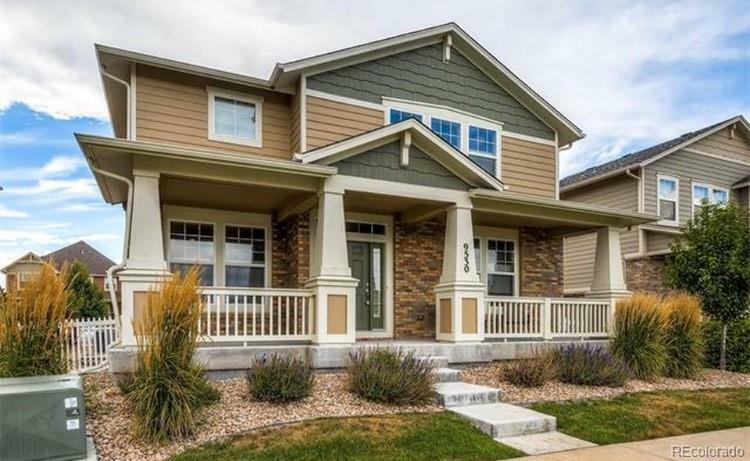 This beautiful 4 bedroom, 4 bath home is light and bright with an open floor plan. Loaded with upgrades, the main floor features hardwood floors, a gas fireplace, slab granite counter tops and stainless steel appliances. The second floor has an oversized master bedroom and lavish master bath with soaking tub and separate shower. For your convenience, the laundry room is located on the second floor The home has a security system, solar panels and is pre-wired for surround sound. The beautiful, partially finished basement includes a bedroom, a large half bath and 2 unfinished areas perfect for storage. Outside you'll find a large covered front porch and side yard that is professionally landscaped with a composite deck; perfect for relaxing or entertaining! Because the grounds maintenance is included in the HOA, you'll have plenty of time to enjoy the open space, trails, bike paths and the future Westminster Downtown development. Basement Ceiling Height 9 Ft.